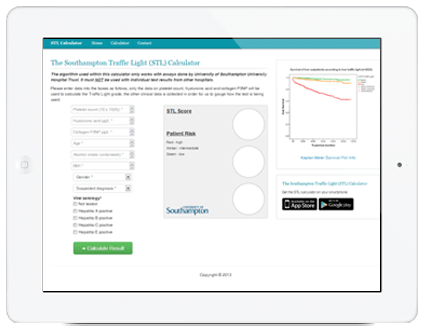 The University of Southampton is one of the top research facilities in the UK and we were asked to develop a diagnosis style app that helps GPs assess a patient’s risk of liver disease using a ‘traffic light’ test. 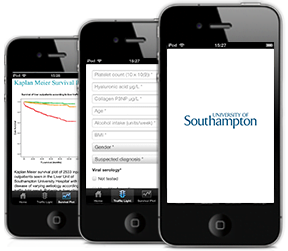 The algorithm used within the app only works with assays done by University Hospital Southampton (UHS) NHS Trust. It must NOT be used with individual test results from other hospitals. 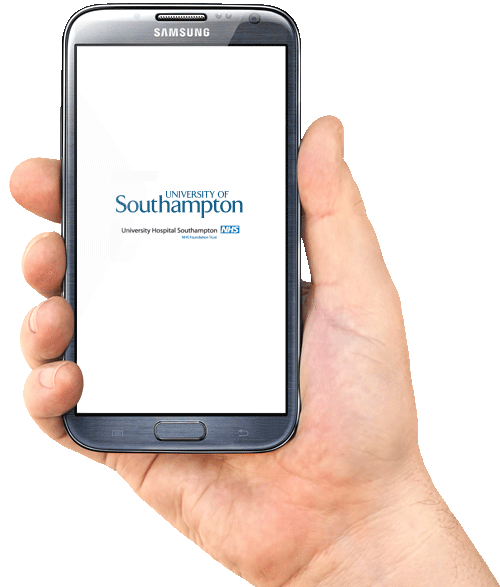 The data captured by the tool also needed to be recorded anonymously and stored to a central database so that it could be analysed for further research into liver disease. By working closely with the gastroenterology department of the UHS we were able to establish the exactly how the tool would be useful to GPs within a clinical environment and document a precise project scope including the technical and functional requirements, the design criteria and any other considerations for the project. Because it’s important to understand exactly how the app will work, we mapped the process by which individuals will use the app. This helped to ensure that all eventualities were considered during the planning phase and that nothing is missed. We then produced a set of wires frame demonstrating key features like navigation and showing where functionality, buttons and other tools are required. The wire frames are the blueprint for key pages on the app. Following agreement of the wire frames we produced a mock-up of the user interface (UI) designs. Where the wireframe is the blueprint showing the structure of each page, the user interface design allows you to see how the finished pages will look. We discussed a number of KPIs with the client for measuring success including app downloads but also recommended using Google Analytics to understand the number of visitors, origin of visits, number of reports produced and many more metrics to be tracked anonymously. The app is available on the iTunes app store and the Google Play Store. Researchers say the traffic light test and app can help to diagnose the disease much earlier, enabling those at risk to change their behaviour which could save their lives. They said that while it should not be a substitute for clinical judgment or other diagnostic tests, it could help GPs determine the potential severity of liver disease in high risk patients such as heavy drinkers, those with type 2 diabetes or the obese.